In an effort to enhance tourism in both countries, Air Seychelles officially launched their new direct route linking the Seychelles International Airport in the capital city of Victoria to the Julius Nyerere International Airport in Dar es Salaam as scheduled on December 2, 2014. According to the Tanzania Deputy Minister for Transport Charles Tizeba, the launch of this new route will facilitate business between the two countries and will be mutually beneficial for both countries as they work to improve access to new destinations and develop their respective tourism industries. During the inaugural launch, Alan Renaud, the General Manager for Corporate Affairs with Air Seychelles, indicated that the decision to expand to Dar es Salaam was in line with the airline’s mandate to foster growth in the tourism and trade sectors while also remaining profitable. 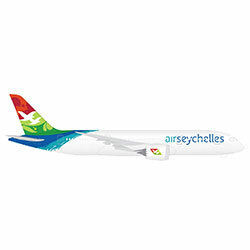 Air Seychelles will have the capacity to offer 16 business class seats and 120 economy class seats on their twice weekly flights, representing an annual capacity of 28,000 seats.